You are going to think I am crazy when you hear what I’m making. Take my word for it–it’s absolutely delicious. It is especially good on a very hot day and takes no time at all! I am rating this 2Peppers because it depends mostly on your jalepeños. The first time we made this it was extremely mild, but the last time really left a nice after-burn 🙂 So go out and grab a ripe watermelon while they are still in season and get cooking! 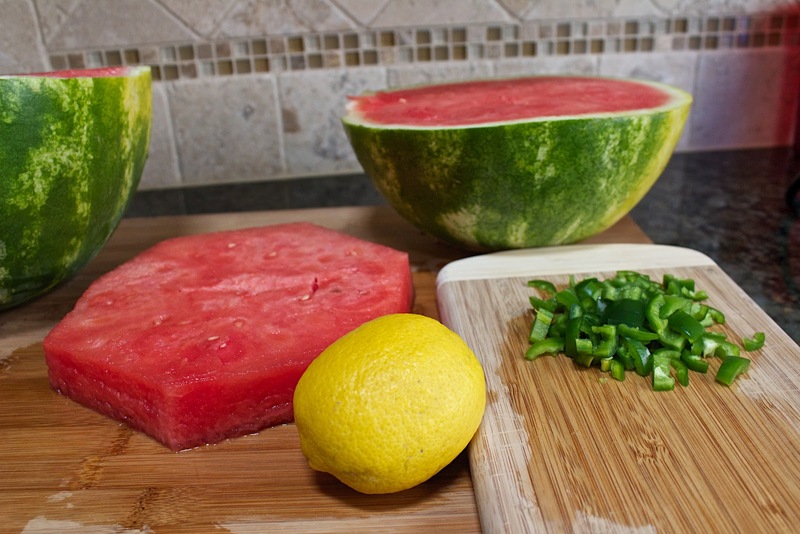 Cut a small watermelon into large chunks. Place half of cut watermelon, lemon, and salt into a blender. Blend until smooth. 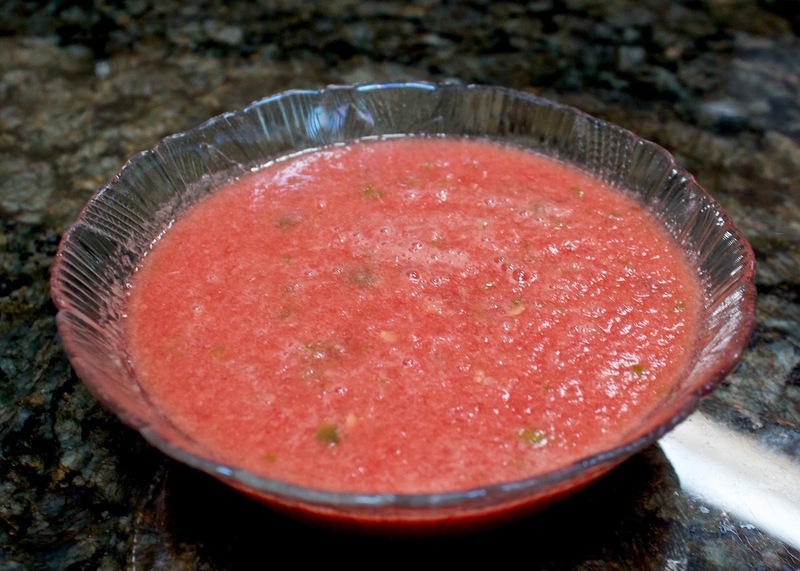 Add the rest of the watermelon and the jalapeños into the blender, and pulse until chunky (2-3 times). Refrigerate until cold (about 1 hour). Stir well and garnish with thin sliced jalapeño when serving.